The most precious Halloween garland! 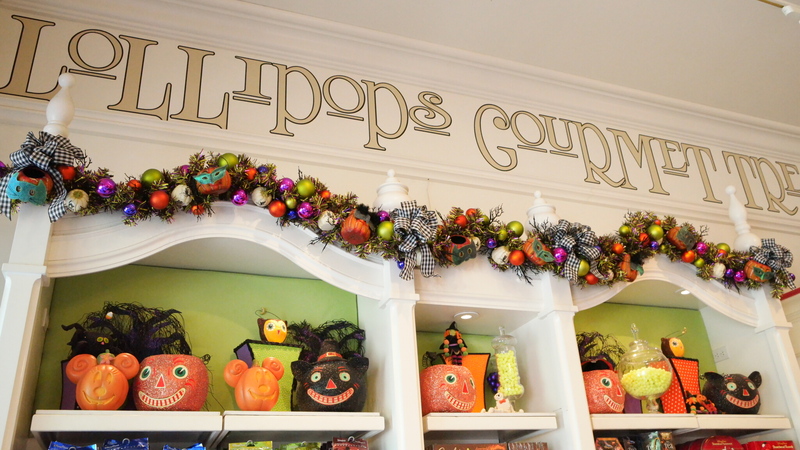 I especially like stopping in during the Holidays to check out all of the adorable Halloween trinkets on display. There is such attention to detail in the garland pictured above, even down to the masked pumpkins. 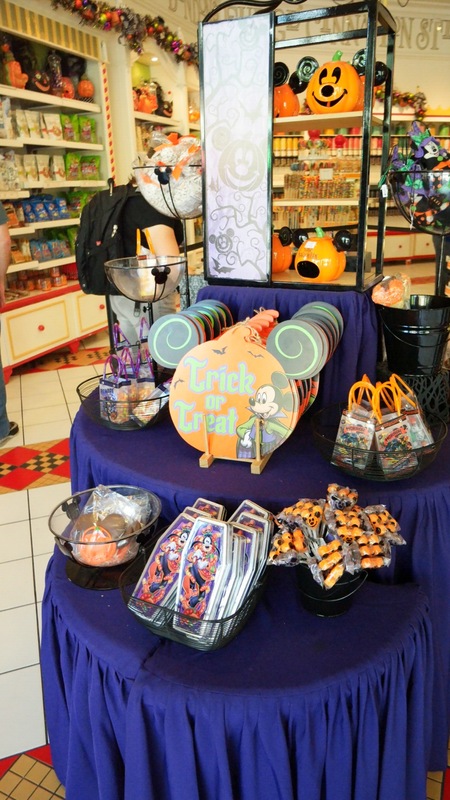 And can we talk about the Mickey pumpkins on the shelves?! I would love one of those for home. 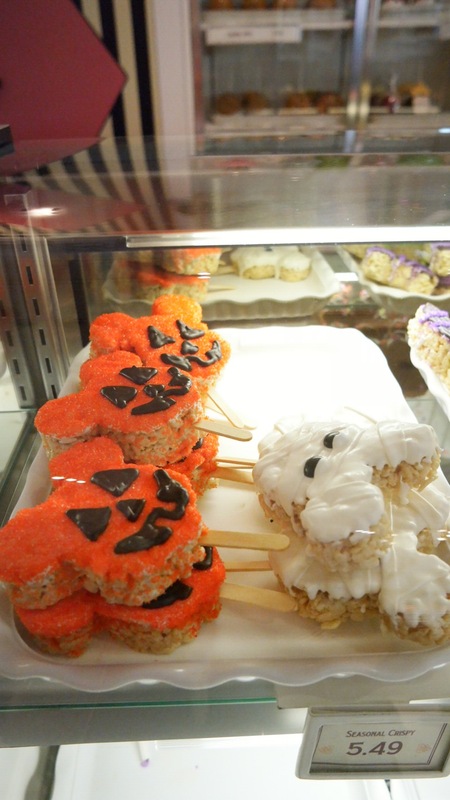 Oversized treats, spiders and black cats…eek! I wouldn’t mind some of these items to add to my home decor. 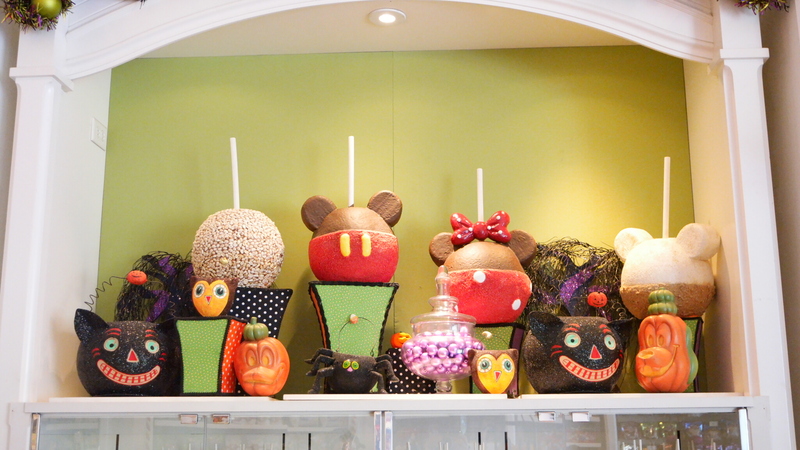 How cute would these giant specialty apples be on display in a kitchen?! And the Donald & Goofy pumpkin they must consider selling. 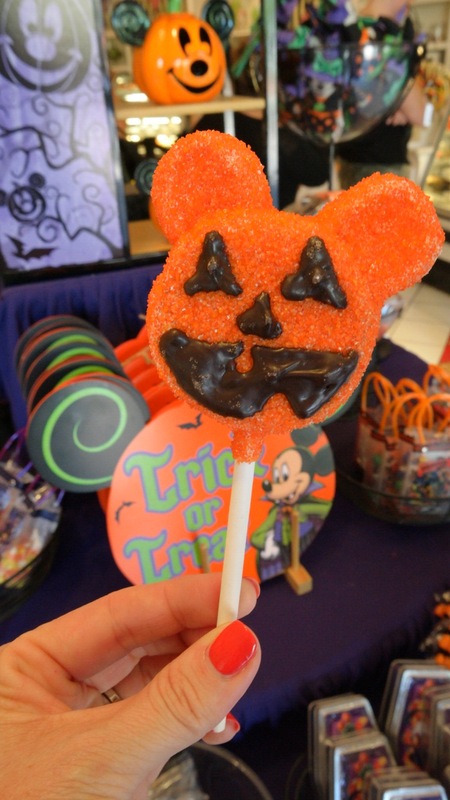 When you walk in you are greeted by tables of Halloween decor and pre-packaged goodies, such as Rice Krispy Treats and candy corn. 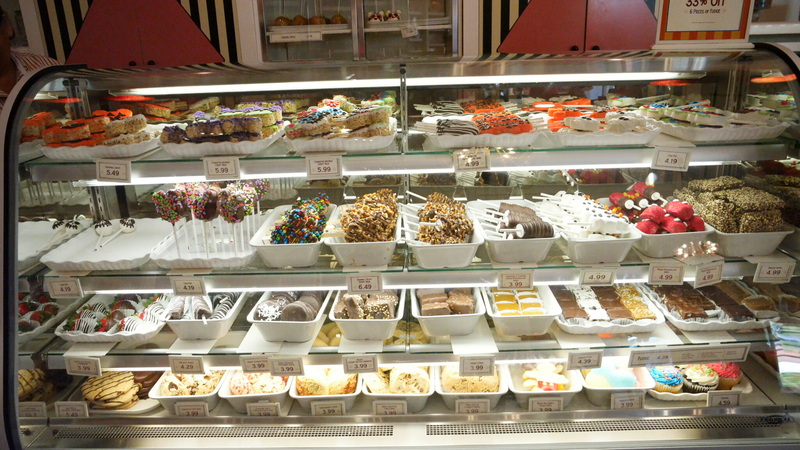 My happy place is standing in front of a Disney treat case! 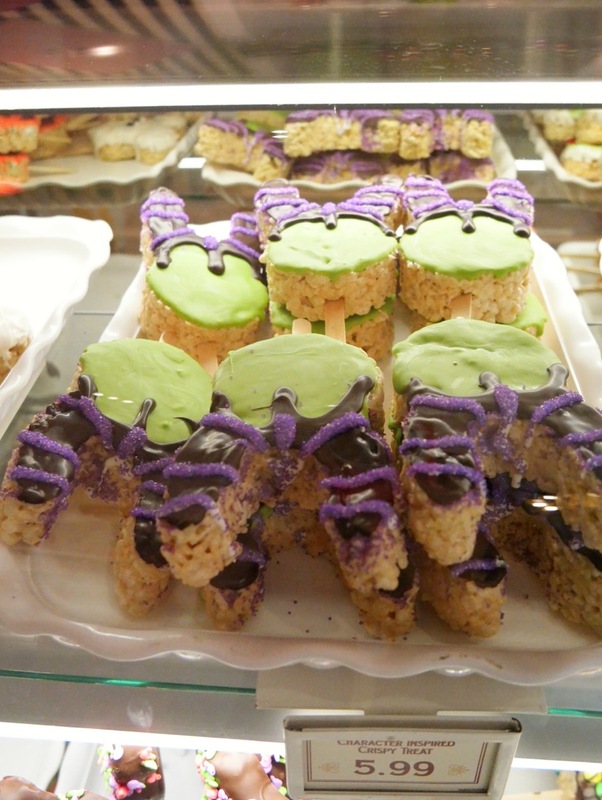 As I said above, you can find most of the park treats here at Marceline’s. 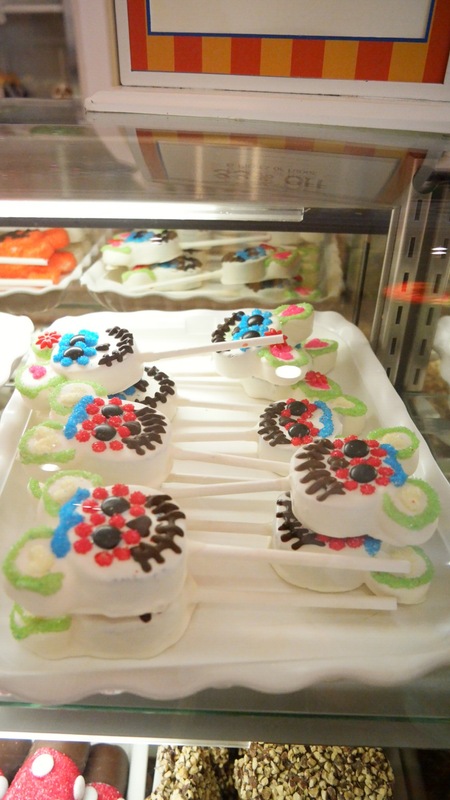 Even if you are spending the day at Downtown Disney without going inside the park, you can still indulge on the handmade goodies. 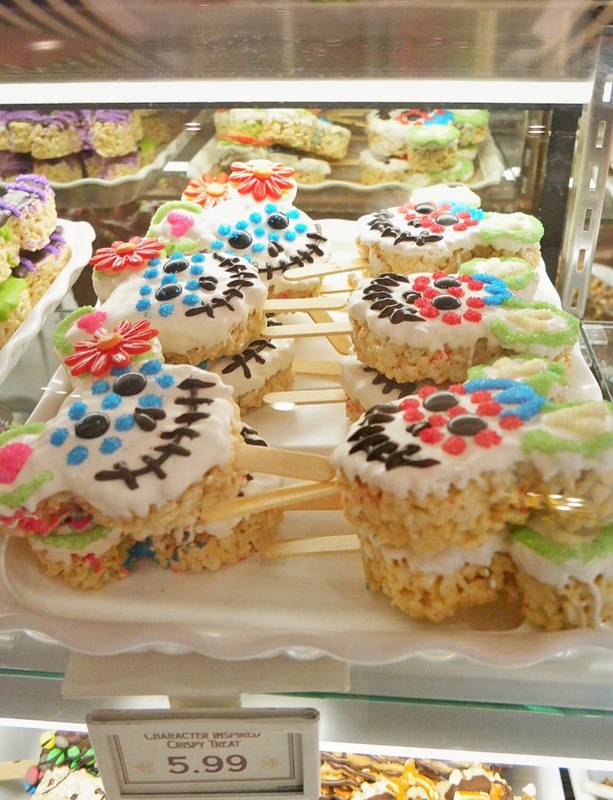 Cake pops, Rice Krispy Treats, cookies, fudge, cupcakes and more. Since it is Halloween Time I wanted to check out how much Marceline’s had to offer in the way of Halloween treats. I was pleasantly surprised. The only item missing on my visit was the Poison Apple Cake Pop, but they had it in stock the night before when I walked by. 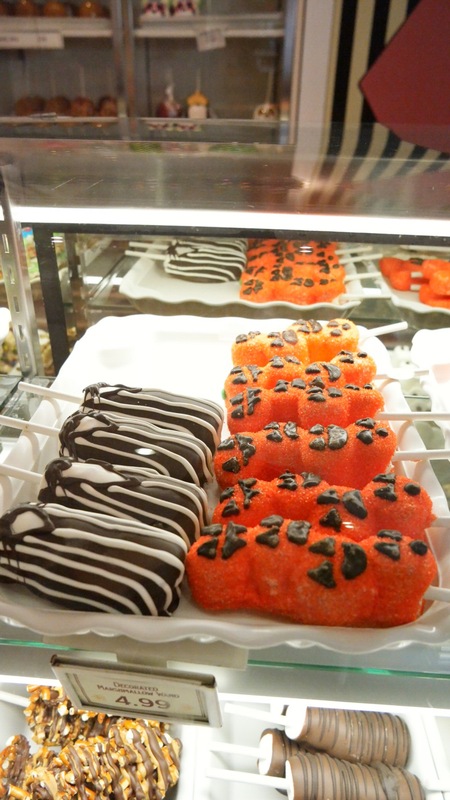 We ended up leaving with a Red Velvet Pumpkin Cake Pop, since the day before we ate our way through Disneyland’s Halloween treats. I thought it was clever to make the inside red velvet. 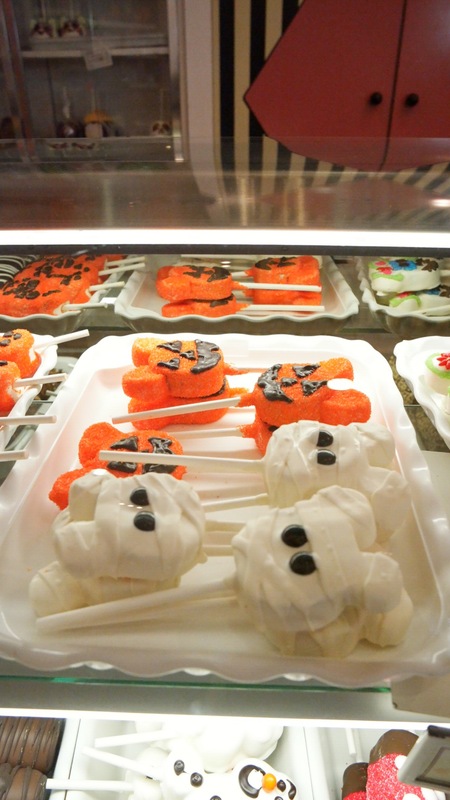 You felt like you were really enjoying a spooky treat. 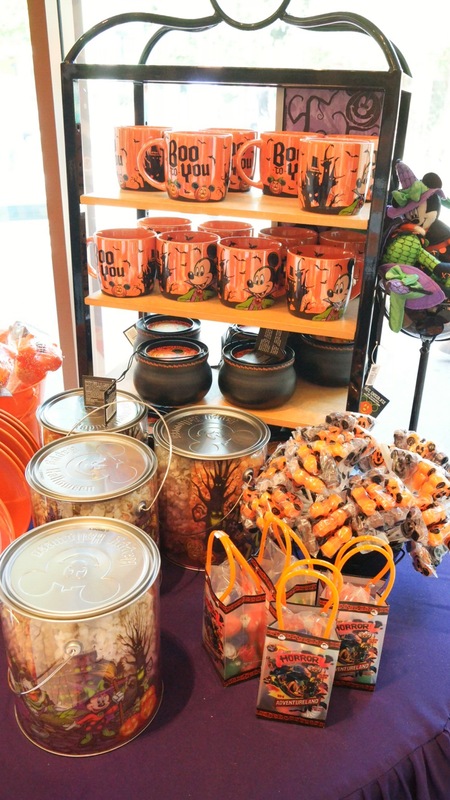 As I walked out I spied the cutest popcorn buckets, lollipops and Halloween mugs. 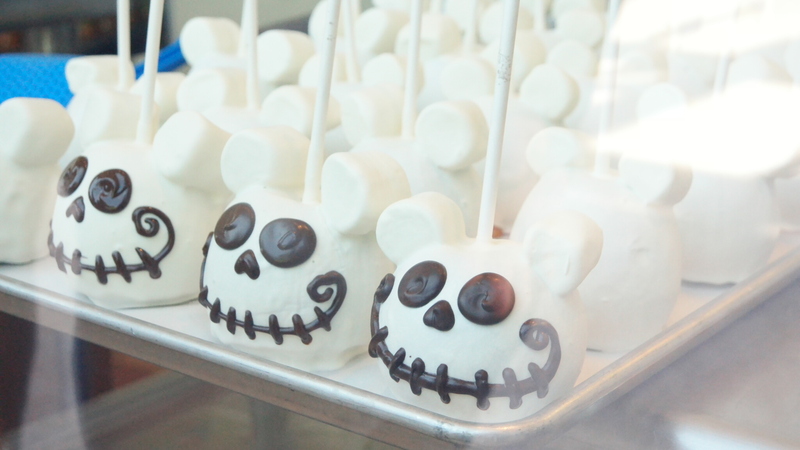 Outside of Marceline’s you can watch the candy makers hand create treats. 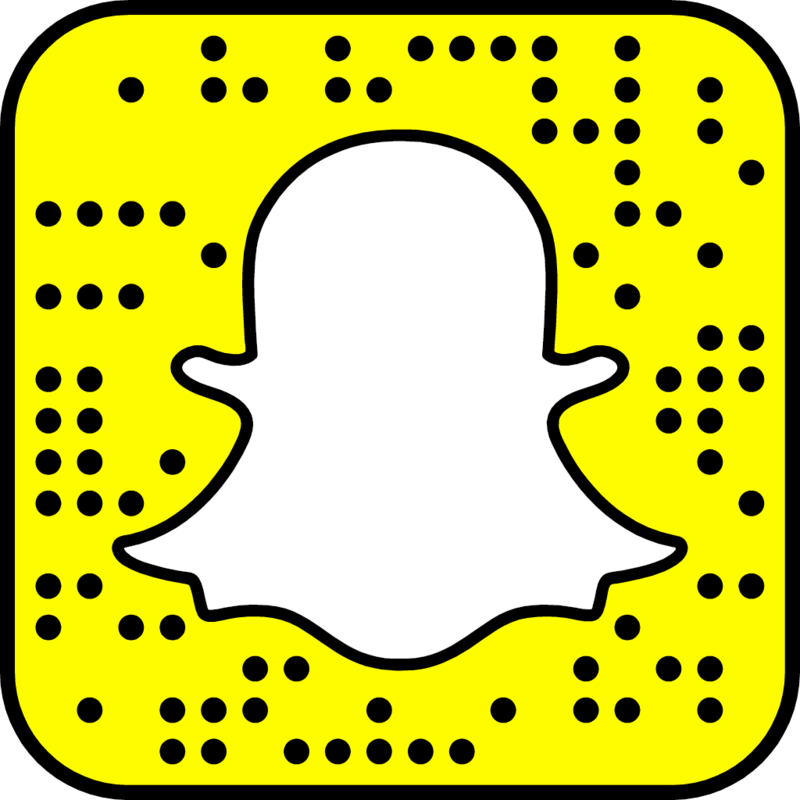 Most of what you see inside the store is baked, spun and dipped on the premises each day, so it is kind of fun to stand there and watch the magic happen. When I was there the candy makers were all busy working on specialty apples. I was a little entranced at the display window, my family had to tear me away! 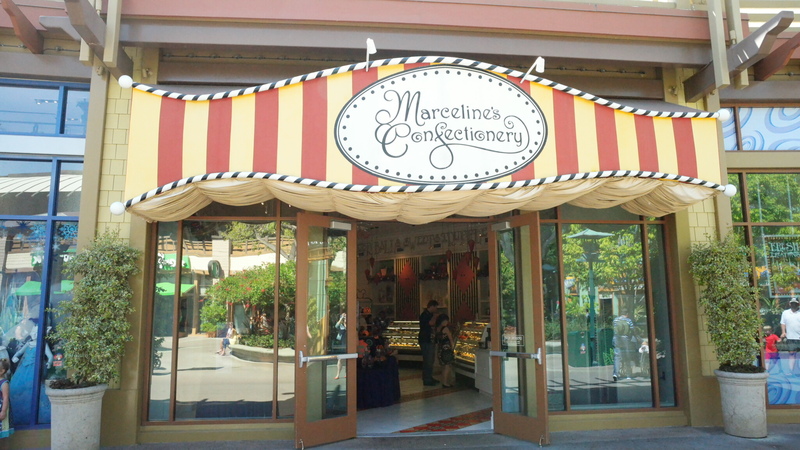 Annual Passholder discounts apply at Marceline’s Confectionery.